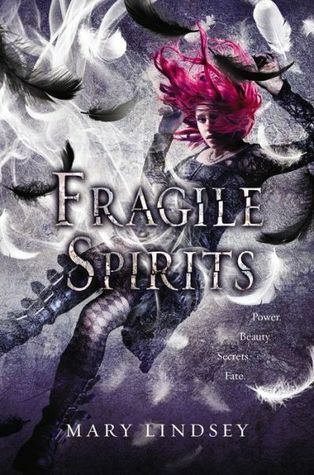 I loved Shattered Souls, so I was super excited to read Fragile Spirits. It did not disappoint. This novel stood on its own and lived up to my expectations. The characters evolved organically, the plot was intriguing, the pacing was spot on, the action and romance were realistic, and the ending tied things up wonderfully. Lindsey's writing was also top notch. This was a fantastic sequel. I really enjoyed reading about Paul and Vivienne. Viv was a great character, and she was extremely complex. Paul was also more complex than I would have thought. He surprised me (and Vivienne) quite a bit. I also really liked reading from his perspective, and I didn't think I would. I normally don't like reading books from a guy's perspective because I just can't relate. Sometimes it works for me, but more often than not, it doesn't. Both Paul and Viv grow throughout the course of the novel, and they complement each other well. I also enjoyed seeing more of Alden and Lenzi. I wasn't a fan of Race, and Cinda or whatever her name was seemed to be a plot device and filler character, but for the most part, I enjoyed the characterization of this book. The plot kept me interested, and I really liked the whole letting go of hate message in this story. I feel like so many of us, myself included, focus on the negative and the bad as a way to protect ourselves, just like Vivienne did. It can eat a person alive, if they let it. No one wants to turn into a living version of Smith. The pacing was also perfect. I was never bored, and I flew through the chapters. I really liked the ending, and the climax of the story was suspenseful. The ending tied things up nicely. It didn't sound like there would be another addition to this series, but if Lindsey does decide to write another book in this world, I'd love to read it. Overall, I really loved this book. It can be read as a standalone or as a sequel to Shattered Souls. I recommend reading both of them ASAP. They're unique and captivating.